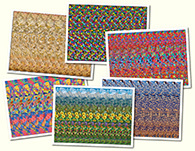 Animals Stereogram Gallery : Winer hunter : Stereogram Images, Games, Video and Software. All Free! 1. it s soooooooooooo br beautiful!!!!!!!!! 2. Winer ????? should be winter ? 5. Can I get a large poster of this wolf somewhere? 19. where is the wolf??? 20. Finally one that I can actually figure out what the shape is! 23. I don`t see this one. I can`t determinate the shapes. 24. The trees are gorgeous. 31. Wolf! 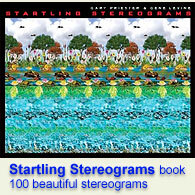 Difficult to see here than the cross-eyed stereograms. All I see here is the outline of the image no 3D effect. 41. Is there maybe anyone who nows what this is?!? !